The Southern Star Group is proud to support the Elaine Cricket Club through sponsorship. With our assistance, the ECC has successfully achieved five premiership victories over the past four years, including a Junior and Senior Grade double win in the 2015-2016 season. The Elaine Cricket Club has a long and proud history with the formation of the club happening over 100 years ago. 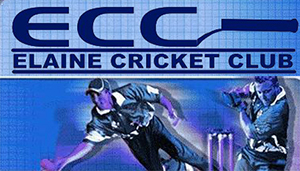 Throughout its time, the ECC has been a competitive force with many premiership and championship victories over the years. The prosperous club draws players and fans throughout the region from Geelong to Ballarat. Operating from its home ground, Elaine Recreation Reserve includes a quality cricket pitch, club rooms and barbecue facilities; making it a perfect family outing. We are proud to be associated with professionalism, inclusiveness and community values this club emphasises.